The Winter in Lisbon is a sizzling, sensuous ballet celebrating four decades of Dizzy Gillespie’s brilliant music. Choreographed in 1992 by Billy Wilson, and restaged for the 2017 centennial of Dizzy Gillespie’s birth, the work pays tribute to Mr. Gillespie, the consummate jazz musician, creating an atmosphere in which the dancers challenge, tease and romance against a backdrop of rhythm and color. Praising the original production in 1992, the Associated Press characterized it as “a joyful dance that gives an emotional lift,” and critics and audiences across the country agreed. 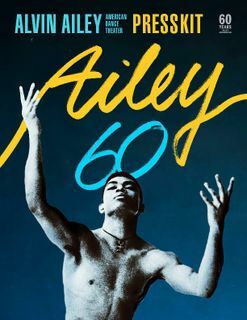 Wilson’s dreamscape gives the full company of Ailey dancers a chance to dazzle in a glamorous suite of dances that range from a sultry love duet to a rowdy challenge to the thrilling Latin-inspired finale. Paris isn’t lacking for new music venues. After the Philharmonie, another major construction project was completed in April: La Seine Musicale, in the south-western suburb of Boulogne. Designed by Shigeru Ban and Jean de Gastines, it occupies a third of the tiny Seguin Island on the Seine, hugging its shoreline; the flagship auditorium sits on one end like an oversized Fabergé egg, with rotating solar panels curving over it. A professional dancer's body is a finely tuned instrument of movement and expression. 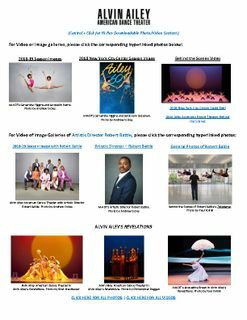 And there are no more impeccably calibrated, eloquent "instruments" than those who make up the Alvin Ailey American Dance Theater. 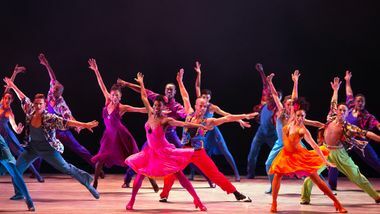 Alvin Ailey American Dance Theater will be completing a coast-to-coast tour at NJPAC for performances on Mother’s Day weekend. It is especially significant that the Company will be performing 3 works (on Friday evening and Sunday matinee) that celebrates the marriage of modern dance and jazz.